Hyundai Wants A Real Pickup Truck For America? Not just some car-based crossover with a bed. 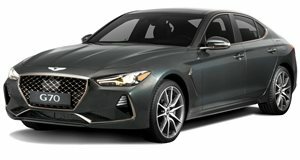 Hyundai’s Genesis brand is enjoying the fruits of its labor with the launch of the new G70 sport sedan. Obviously that’s great news for the newly launched premium brand, which has its sights set on the likes of BMW. But what about an eventual Hyundai pickup truck? Could such a vehicle be possible given the South Korean automaker’s rapid rise and product expansion? The short answer is 'yes.' Australia’s Motoring has learned from Hyundai Australia’s chief operating officer, Scott Grant, that his employer is serious about building a pickup truck. And no, this is not in reference to the upcoming Tucson-based Santa Cruz crossover pickup. "We’ve been talking about it for a number of years now," Grant said. "We’re confident of having something on the other side of 2020." We know that’s a rather vague response, but the writing is on the wall: Hyundai is serious about a body-on-frame pickup truck. "About 12 months, 18 months, ago (we began a) study about developing a light commercial vehicle for our part of the market, as well as for what North America likes. You’ve seen the developments in North America: that is not applicable to our market (Australia). Our market program is still in development." Obviously Grant’s focus is Down Under, but it does share similar types of buyers with North America, truck buyers included. It seems Hyundai is keen to snag some sales from the ever popular Toyota Hilux, which isn’t sold in the US (the Tacoma is the closest thing to it). But given the upcoming return of the Ford Ranger to the US and the massive success of the Chevrolet Colorado and GMC Canyon twins, Hyundai would be wise to seriously examine this segment. 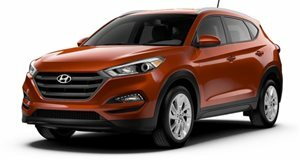 While the upcoming Santa Cruz could be a direct rival to the Honda Ridgeline, a great truck for the city, Hyundai could also offer a true truck for a different (and highly profitable) segment as well.